My friend got me excited about the 7800, especially Bob's homebrew games Scramble and Circus AtariAge. I had never played the 7800 before. I had heard how horrible the CX-24 was and could tell there was issues with the joystick without even playing with it. I knew I had to come up with a fix since I am a right handed joystick gamer and didn't want to use the Euro game pad controller especially for Arcade games like Donkey Kong, Donkey Kong Jr., Dig Dug, Pac-Man and so on. I removed the stock joystick top, shortened the shaft, threaded it and installed a ball. This is very much like the controller mod I do on the ColecoVision. I got one finished last night and am posting 2 pictures to show what it looks like. Feels great, but I have to wait until tonight to test it at my friends. My first 7800 is on it's way FedEx. 1 controller for $12.50 or 2 controllers for $22.00 + return shipping. Edited by Yurkie, Tue May 15, 2012 2:42 PM. You know that 7800 controllers work on the CV for two buttons games as well, right? Now you have a new CV joystick too. I will give it a try thanks. edit: doesn't seem compatible with the CV. Edited by Yurkie, Tue May 15, 2012 2:58 PM. If I remember right, I think it's just the one-button games the 7800 controller works with on the Coleco. I believe it's the booster-grip button for the 2600 that works as a 2nd button on the Coleco. Very cool, mod. Being honest here though - And perhaps I am wrong, but I believe the majority's problem with the controller is not so much the stick part, but the hand-cramping buttons (layout). Which unfortunately, really can't be fixed easily...Might as well go for a completely different controller. I wished the 7800 would have been released with something like the 2600 controller with just a second button next to the first - either shift the stock design button over slightly to make room for two comfortably, or keep the button where it is and add a second slightly smaller button. 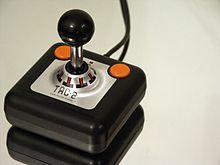 Actually, I love the TAC-2 controllers and their joystick design. A steel shaft with ball top joystick along with two buttons - if they could squeeze four - two extra buttons on each side of the default - again just shifting the default button slightly, it would have been absolute gaming heaven for right or left handed players. I think you need a Y-cable for this to work. The Proline goes on one port and the original controller goes on the other (for the keypad). I got my 7800 today and got to try out the controller and compare it to the stock controller. The controller with the ball is a huge improvement. 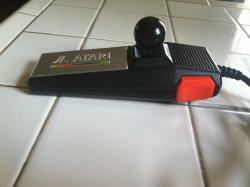 The original tall joystick causes the player to pull the controller out of their hand, with the shorter stick there is not near as much torque and the controller is easy to hold on to. I posted better quality pictures in my Marketplace thread. Those of you that follow the ColecoVision forums probably know about my single jack A/V composite video mod along with my refurbishing/repairs and other mods. I have plans to start offering my single jack A/V composite mod using the Longhorn board very soon. If you want to be one of the first with to get this send me a PM. 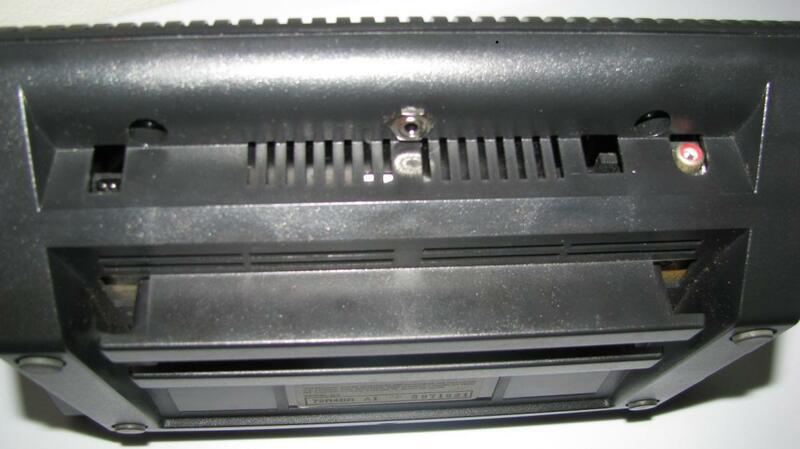 Here is a picture of the jack installed up under the backside of the 7800 console. With most new TVs no longer having S-video I think this is the way to go. 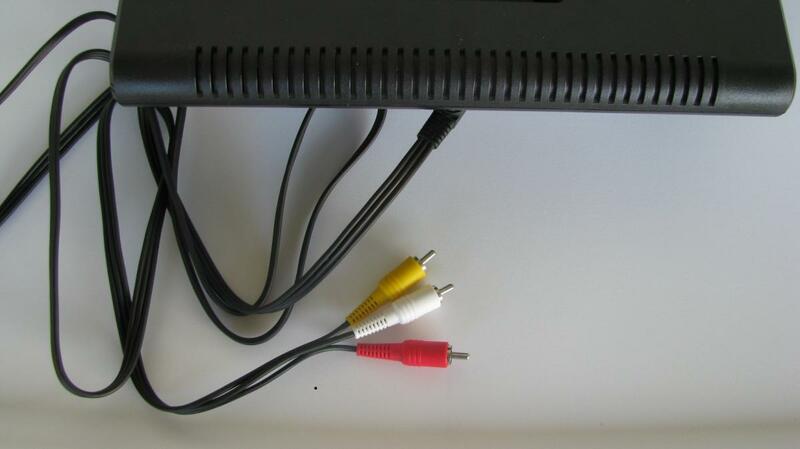 As with the ColecoVision the A/V cord is included. Edited by Yurkie, Sat May 19, 2012 6:31 PM. I removed the stock joystick top, shortened the shaft, threaded it and installed a ball. I know I'm immature, but...this made me giggle like a little girl. It is a huge improvement RickR, send me a PM if you decide to send them for modding. I will just copy what i said about these modded controllers in the marketplace.I now have one of these modded prolines, and it has brought life back into a controller i thought was just a worthless controller. Feels great and looks great! I just need a second one for my matching set. Give your prolines a second chance in life with this mod. Keep in mind if you have any pre existing problems with it you may want to ask him about it before hand as i dont think hes repairing anything but Well worth it !!! My friend and I compared S-Video and composite and we actually both preferred composite. I like the simple non-invasive look of a single jack mount up under the back edge, and chose not to offer S-Video. New placement for my switch and composite video jack for my console mod. Link in my signature, to my Marketplace thread pictures. These controllers really make a difference I find. (I also have the CV versions). I received my modded 7800 from Yurkie today and played my way though a handful of Bob's games that I'd been meaning to play and I couldn't be happier with Yurkie's work, as usual! Got my two sticks earlier this week. I cannot believe how much better these controllers are with the ball tops. Great work Yurkie! I may have to eventually get a second set done for spares. From what i am reading they like them. I myself do not have one so I can not comment. You obviously dont like yours..
Edited by Jinks, Mon Jul 9, 2012 7:03 PM. funny I specifically hunt these out, one of my favorite sticks. Revisiting this topic as having received my Yurkie fully modified complete 7800 system. The ball top and shorter shaft joystick does make a difference, a definitely considerable one. Obviously, the layout issue with the buttons obviously remains and that cannot be resolved with the change design of the joystick. 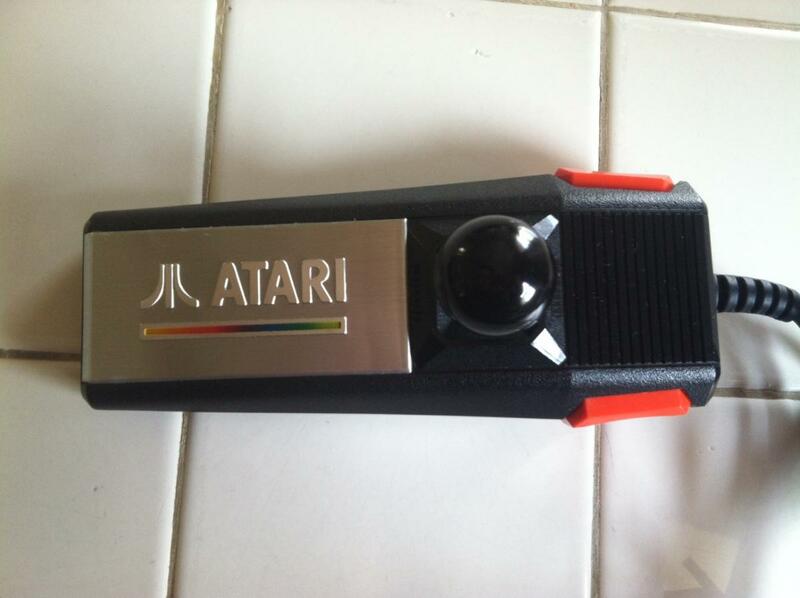 Regardless, the joystick modification is well worth the purchase. 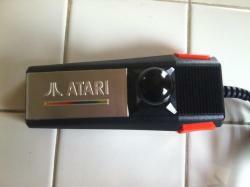 I recommend sending in your joysticks to Yurkie to have the conversion done. The stick portion has a much more comfortable feel, and for fast moving directional games (I.E. any of the ‘Pac-man’ ones), it is nearly a necessity. I just got my CX24controllers back from Yurkie. This is a great mod and really makes a big difference...it was a lot easier to play Commando (even easier than with the CX78's). Not only did he do a great job, but super quick as well! Thanks Yurkie!! !